With age, our natural fat stores begin to disappear under our facial features, leaving our appearance flat and sunken in. As the loss of facial volume slowly increases, skin begins to sag, and deep wrinkles begin to set in. Many areas may begin to look hollow and dark, adding years to the appearance. Unfortunately, over-the-counter products are unable to reverse these changes. Dr. Ravi Somayazul and Dr. Swapna Gopathi, the Voluma® XC experts, at Body by Ravi Plastic Surgery and Aesthetics can provide a non-surgical solution for age-related volume loss. Juvederm Voluma is a long lasting injectable volumizer, designed to instantaneously augment areas of the face and checks, without any downtime. This injectable hyaluronic filler immediately restores volume to smooth out fine lines and wrinkles, refreshing the appearance. Unfortunately, with age, the infrastructure under the skin slowly loses its natural levels of fat, collagen, elastin and bone. These building blocks of facial structure and healthy skin normally peak in our 20s, then fade with the coming years due to sun damage, stress, illness, and genetics. As the fat and collagen dissolve, the skin may begin to show fine lines and, eventually, deep creases. Hollow areas can then be seen under the eyes and throughout the mid-face. Juvederm Voluma, from Allergan, is a unique dermal filler designed to restore mid-facial volume and improve age-related volume loss. Approved by the Food and Drug Administration (FDA) for patients over the age of 21, Voluma has a one-of-a-kind ability to create mid-face volume and sculpt more prominent cheek bones. It is the first and only FDA-approved filler to correct age-related volume loss in the midface. The filler is composed of a more structured formulation of Hyaluronic Acid (HA), which is what makes it different than Juvederm Ultra and Ultra Plus. HA is a naturally occurring substance found in the body, therefore it is safe for all skin types and ethnicities. Because of its natural composition, allergy testing is not necessary before treatment. Voluma is injected deep below the skin’s surface, where the HA pulls in water from surrounding tissues, plumping the skin and creating volume. The filler offers much needed support and structure for the overlying skin. This improved structure then fills in hollowing, lifts up sagging skin and improves the appearance of wrinkles. Voluma provides results that can last for up to two full years. Houston’s Dr. Ravi Somayazula and Dr. Swapna Gopathi are both board certified physicians, experienced in state-of-the-art surgical and non-surgical aesthetic procedures. Offering patients a variety of injectable treatments, including dermal fillers like Juvederm Voluma, the team at Body by Ravi Plastic Surgery and Aesthetics can help individuals address the early signs of aging. 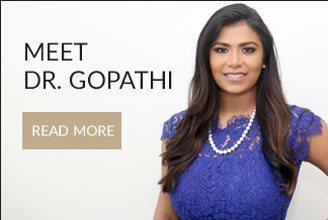 Dr. Gopathi specializes in the latest nonsurgical methods for restoring a smooth, healthy, youthful appearance. By choosing soft tissue fillers, patients avoid the expense and recovery time associated with a surgical procedure. Best of all, the results from Juvederm Voluma can be seen right away and will last for years to come. Soft tissue fillers, such as Juvederm Voluma, can provide significant facial rejuvenation for many patients, both men and women. An ideal candidate will be over the age of 21, in generally good health, and frustrated with age-related volume loss or facial lines. Patients should understand the filler treatment process and hold realistic expectations for their final results. Those with an active skin infection, are pregnant, or breast feeding may be encouraged to postpone their Juvederm Voluma injections. During the consultation appointment, Dr. Ravi or Dr. Gopathi will determine if Voluma could be right for you. They will also explain any additional injectables, such as Botox® Cosmetic for dynamic wrinkles or Sculptra® for additional volumization, that can help to achieve optimal results. The consultation at Body by Ravi Plastic Surgery and Aesthetics is a private time for our doctors to get to know your needs and desires. Plan on your consultation appointment to take about 30 minutes. During this time, we will review your medical history and examine the facial tissues. After discussing your cosmetic goals, Dr. Ravi or Dr. Gopathi will explain Juvederm Voluma and the dermal filler process. Before and after photographs of recent filler patients will be shown, helping you to understand your potential results. If Juvederm Voluma is the right product for your needs, a personalized treatment plan will be created. Before you leave, the exact price of treatment will be discussed, as well. Our patient care coordinators will help to find the best payment plan available to fit your budget. Voluma is injected in one of our private and comfortable treatment rooms at the Body by Ravi Plastic Surgery and Aesthetics’ office. Each procedure generally takes 30 minutes or less. The tiny injections are considered painless, as Juvederm Voluma is premixed with lidocaine, an anesthetic. For additional comfort, Dr. Ravi or Dr. Gopathi can add a topical numbing cream or local anesthetic, as well. Once the target area has been determined, the doctors will gently administer the injections using a very thin needle. Patients are then free to return to their normal activities immediately after the session. The benefits of a treatment with Juvederm Voluma can be appreciated immediately, and as any minor swelling and redness decreases, the results can continue to improve. As no downtime is needed after a Juvederm Voluma treatment, the injectable is a great ‘lunchtime lift’ technique. The face will look smoother and more sculpted right away. Approved by the FDA, side-effects from Voluma injections are mild, but can include pinpoint bleeding, bruising, redness, and minor swelling. These are short lived, however, and more serious complications are rare. With no restrictions on work, exercise, or wearing makeup, no one will ever know you stopped in for the injectable treatment. The results from Juvederm Voluma can last for up to two full years. Once the results start to fade, a repeat session can safely extend the benefits of treatment. The Brilliant Distinctions® Program is a unique opportunity for patients to receive special pricing and discounts on all Allergan products, including Juvederm Voluma. Members accrue points with each purchase of an Allergan product, or schedule an appointment for any Botox® Cosmetic, Laisse ®, or Juvederm® treatment. Brilliant Distinctions® members will earn points with each treatment, which are then redeemable for significant discounts on future purchases of Allergan products and services. To learn more, or to become a Brilliant Distinctions® member, simply speak with your Body by Ravi Plastic Surgery and Aesthetics’ patient coordinator. Body by Ravi Plastic Surgery and Aesthetics is conveniently situated near Memorial and Katy, on the Katy Freeway, easily reached from every corner of Houston. For driving directions or assistance in setting up a consultation appointment, speak with a patient coordinator at Body by Ravi Plastic Surgery and Aesthetics by calling 281.242.1061 or fill out our Contact Us form. For out-of-town patients, Dr. Ravi and Dr. Gopathi are also available for a virtual consultation. Speak to your patient coordinator for details. From the Juvederm family of soft tissue fillers comes Voluma, a one-of-a-kind injectable designed to restore mid-face volume and fullness. Voluma is made from a unique formulation of Hyaluronic Acid, a naturally occurring substance that binds water to cells, plumping tissues and smoothing fine lines. Juvederm Voluma is perfect for improving age-related volume loss across the cheeks, under the eyes, at the temples, sculpting the jawline, and smoothing deep wrinkles and lines. Could I make a good candidate for Juvederm Voluma? If you have started to see a decline in volume along your cheekbones or the beginning of wrinkles related to lax skin, Juvederm Voluma could be for you. The ideal candidate will be in generally good health, understand the treatment process, and will hold realistic expectations for their results. Those who are pregnant or experiencing certain skin infections/conditions may be asked to postpone their Juvederm Voluma treatment. How long will a Juvederm Voluma session take at Body by Ravi Plastic Surgery and Aesthetics? Each Voluma treatment is performed in one of the comfortable, private rooms at Body by Ravi Plastic Surgery and Aesthetics’ office. Most sessions will take from 15 to 30 minutes, making it the perfect, noninvasive ‘lunch-time lift’ for busy adults. Is Juvederm Voluma a painful treatment? Juvederm Voluma is not considered painful, as the filler is premixed with lidocaine, a local anesthetic. For optimal comfort, however, Dr. Ravi and Dr. Gopathi can add a topical numbing cream, as well. When can I return to work after receiving Juvederm Voluma? Treatment with Voluma does not require any downtime. This means that patients are immediately back to school, work, and any other daily activities. Pinpoint bleeding, redness, and mild swelling are not uncommon; however, these side-effects quickly resolve.